A star-studied array of acts from the spectrum of house and bass ensemble at Amnesia. 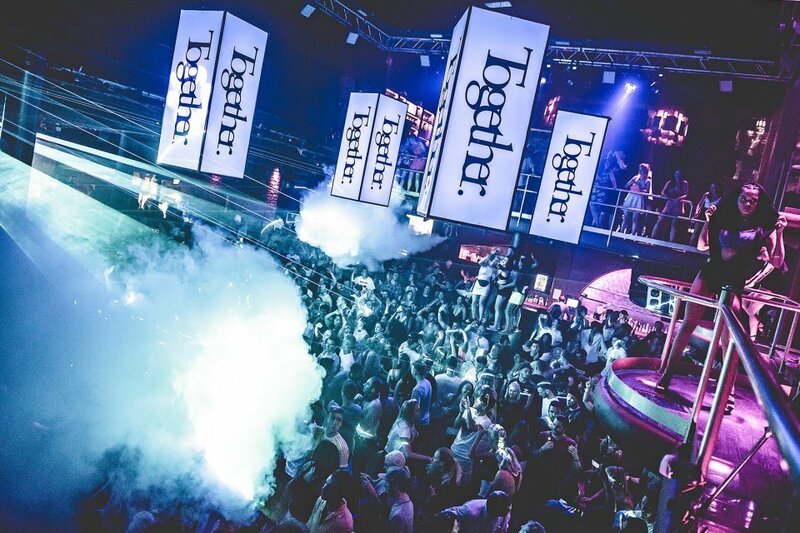 Together is the weekly club night with a dual music policy catering to fans of bass and house alike. Now entering its eighth season, the popular Tuesday night party announces the full list of acts playing at Amnesia. Some exciting additions join the bass-driven Club room. Trilogy TQD – comprising of Royal-T, Flava D and DJ Q – are set to bring the heat with spicy garage flavours on 28 August. On 3 July we roll deep with the SASASAS crew. Two weeks later, legendary drum & bass duo Hype and Hazard play back-to-back on 17 July. Rising star Holy Goof appears on three dates, while collective North Base feature frequently across the summer. Master of Ceremonies Bru-C links up with both Darkzy and Skepsis over the course of summer. Together residents Tecknik will warm-up on several dates. On the house-focused Terrace, Sonny Fodera, Icarus and Klose One have two dates each. German duo Mat.Joe arrive in town on 24 July and Tough Love fly in on 28 August. We also have appearances from Amnesia's in-house favourites Caal and Mar-T. A pair of upcoming duos, Bowler & T.Bunts and Olli Ryder & Luke Welsh have also been thrown into the mix. Having played for Together several times down the years, Redlight gets the best of both worlds with two dates. He plays the club room on 3 July and the terrace on 4 September. As you can see, both rooms are chock-full of talent from the spectrum of house and bass. Of course, the marquee act this year is Chase & Status who celebrate 15 years of Ibiza appearances with 15 exclusive dates. All of the above join headliners MK, Hannah Wants, DJ EZ and Gorgon City, plus Disciples, Sigma, Andy C, Pendulum (DJ set), Sub Focus, My Nu Leng and Wilkinson. These 17 new additions finalise Together's most formidable roster to date. It all kicks-off on Tuesday 5 June for the opening party. Tickets and room breakdowns of each date can be found below.